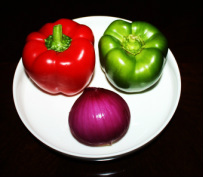 paneer is an awesome dish cooked with paneer and colorful capsicums and onions. and Paneer is an Indian cheese and kadhai paneer means paneer cooked in the wok. occasion. Kadhai paneer can be enjoyed with the many varieties of Indian breads. ﻿K﻿adhai paneer is an awesome dish cooked with paneer and colorful capsicums and onions. These vegetables and paneer not only gives a nice color to the dish but they are very pleasing to eyes and taste wonderful. Paneer and vegetables first sautéed then simmered in to spicy gravy and kasoori methi is added to flavor the dish. Kadhai is a wok and Paneer is an Indian cheese and kadhai paneer means paneer cooked in the wok. This dish not only popular in North India but these days it is one of the most common dishes served in Indian restaurants around the globe. Kadhi paneer is a great main dish for any special occasion. It can be enjoyed with the many varieties of Indian breads. There are several versions of kadhai paneer and everyone is delicious. 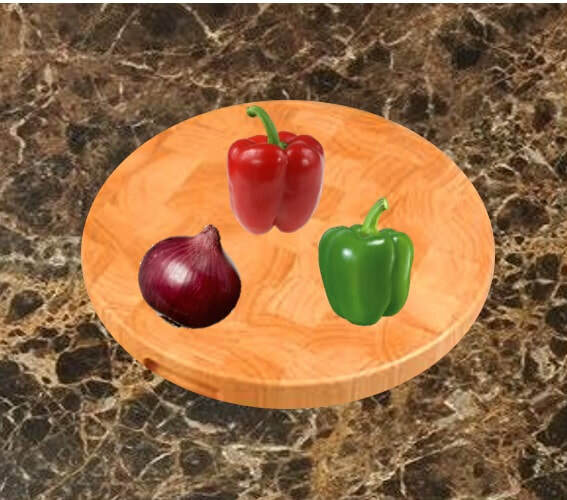 separate the layers of onion pieces. 2. Slice paneer in preferred size of slice. 3. 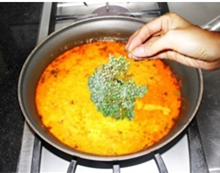 In non stick wide frying pan heat 1 tablespoon of oil. 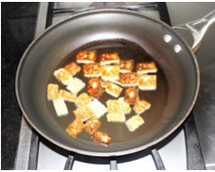 Spread the paneer pieces in the pan and sauté them, 1 minute each side. 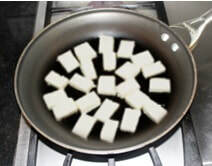 Once paneer pieces sautéed take them out of the pan and place them on a plate over paper towel so that extra oil is absorbed. Once all the paneer sautéed keep it aside. 7. Now add minced onions and garlic and sauté them while periodically stirring. and turmeric powder and mix with the fried onions and fry for few seconds. 12. In about 5 to 6 minutes tomato puree and onion will blend together. for 10 to 15 minutes or until half of the water evaporated. desired consistency. Kadhi Paneer generally have thick gravy. thick then add little water. and grind it to make a coarse powder, and add it to the gravy and mix. 20. Now the kadhai paneer is ready to be served.